Hi! I'm Livie Starlight reporting live on LVN! 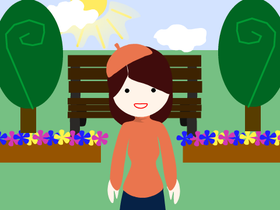 (Livie's Video Network) I am 11 years old and love to code! Please follow me for updates and funny interviews! LVN is a "New Channel", much like CNN or FOX News. On LVN there will be funny and caring animated people who will be interviewed by me!